The Stephanie Side Chair offers the total package of style and comfort. It features a soft leatherette over foam seat and back, making it easy to sit back and relax any time you choose. 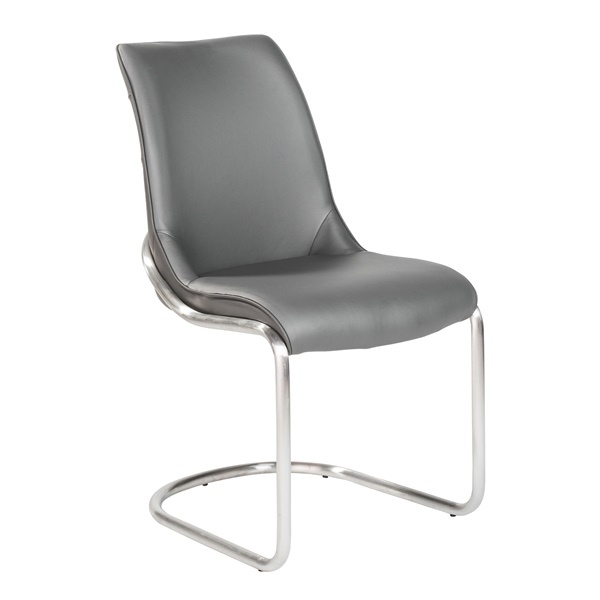 The side chair also boasts a brushed stainless steel frame that provides tremendous support. A great addition in a modern or traditional setting, the Stephanie Side Chair is sure to become an instant favorite in your home or office. Offers a soft leatherette over foam seat and back that are stylish and durable. Features a brushed stainless steel frame that provides long-lasting support. Can serve as a sleek, stylish and comfortable side chair in a residential or commercial space.